Kids Can Press, 9781894786355, 32pp. 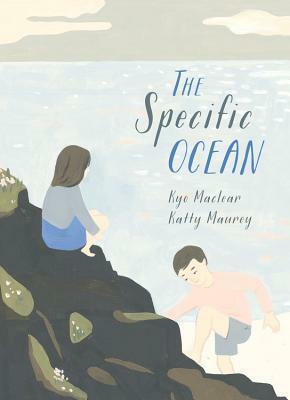 In this gently told picture book, a young girl is unhappy about having to leave the city for a family vacation on the Pacific Ocean (which she used to call the Specific Ocean). As the days pass, however, she is drawn to spend more time in and near the water, feeling moved by its beauty and rhythms. ?The ocean does its own thing, rolling backward and forward. Wash, swash, splush, hush. There is no late or hurry or racing in ocean time.? By the end of the vacation, the girl has grown to love the ocean and now feels reluctant to leave it behind. But as she soon realizes, it doesn't ever have to leave her. ?Calm. Blue. Ruffled. Gray. Playful. Green. Mysterious. Black. Foggy. Silver. Roaring. White. No matter where I am, this specific ocean will be with me. ?